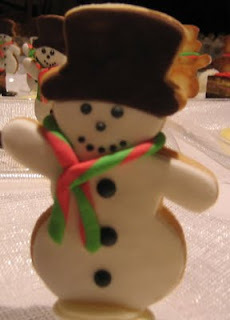 Super cute, especially the snowman! Amazing. All that icing blows me away! They look incredible - far too good to eat. love your decorated cookies!! i've been wanting to make them but can't find the time..hopefully i can make a batch before Christmas! That is so beautiful! That shows that you have a great sense of creativity. I loved the innovative idea. In my terms, creativity is the utmost intelligence. Love the snowman! Wish you a very Happy New Year!